The Kings Theatre opened in 1929 in the Flatbush neighborhood as one of the five Loew’s ‘Wonder Theatres’ constructed in New York and New Jersey. It was designed by architecture firm Rapp & Rapp as an entertainment palace where films and vaudeville acts were presented amidst lavish interiors inspired by the Palace of Versailles and the Paris Opera House. The Theatre closed its doors to the public in 1977 and was acquired by the City of New York in 1983. In 2008, NYCEDC launched a competitive search for an entity to undertake a major restoration and renovation to restore the Theatre as an economic engine and cultural hub to the Flatbush neighborhood. In April 2012, the Kings Theatre Redevelopment Company was chosen to lead this effort and provide Brooklyn with a newly revitalized performing arts venue, which broke ground in January 2013. NDC was asked to participate in the project after the City of New York had selected ACE Theatrical as the developer of the King’s under a long term lease with the City of New York. The City of New York approved NDC as a Public Private Partner and asked NDC to undertake the project to lessen their governmental burden. To perfect NDC’s interest in the project two corporations were created, the first is a nonprofit formed under our Group Exemption (Community Development Properties, Brooklyn, Inc.), and the Second is a 168 H for-profit sub (Community Development Investor Brooklyn, Inc.) that will own a 73.52% of the project. NDC plans to reinvest any cash flow received back into the theater and in selected projects and programs in the community. The financing closed in the fall of 2012, and the ground breaking took place in January 2013. Financing for the $95 million project and came from the following partners, The City of New York, Brooklyn Borough President’s office, Dormitory Authority of the State of NY, Goldman Sachs, New Markets Tax Credit Equity and Ace Theatrical. Completed in 2015, the revitalization of the structure faithfully restored the Theatre’s original splendor while transforming it into a modern multi-purpose performance facility. 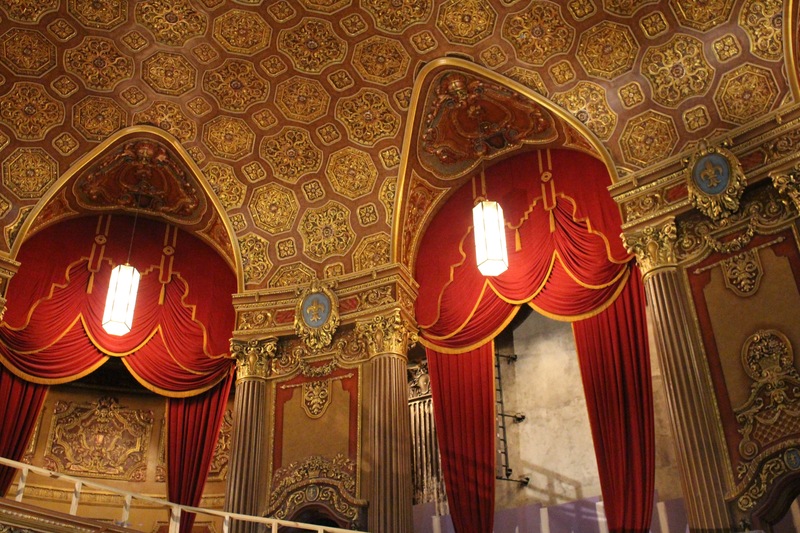 Before falling into disrepair, the Kings Theatre featured high curved ceilings, ornate plaster walls, gold-leaf ornament, crystal chandeliers, carpeted floors, plush furniture, and salon-type lounge areas. Rich wood paneling and pink marble accented the Theatre’s massive lobby and foyer, and the front of the building featured a glazed terra-cotta ornamental façade. These original, signature elements have been restored whenever possible, and faithfully recreated when damage to the original was too great. The project also included a significant expansion to the backstage area, with an additional 10,000 square feet constructed to accommodate the technical requirements of live performance.